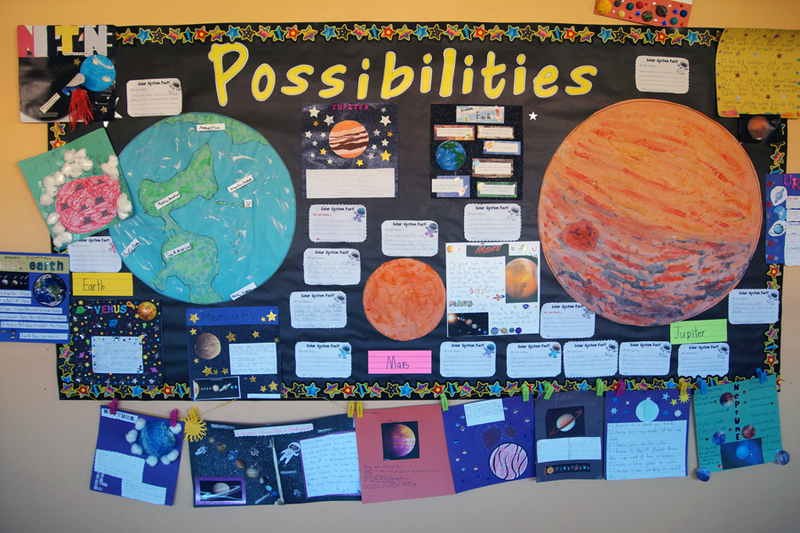 The curriculum in the 1st and 2nd Grades lays a strong foundation for the more formal academics that will follow. It is broadly based and takes into account that each child enters the school with different experiences and skills, and at a different level of readiness. Students develop a respect and love for learning while acquiring the strong skill base that they will need to continue their formal education. Instruction in specific subjects is often integrated. For example, a unit project might incorporate goals from the language arts and math curriculums or the social studies and science curriculums simultaneously. 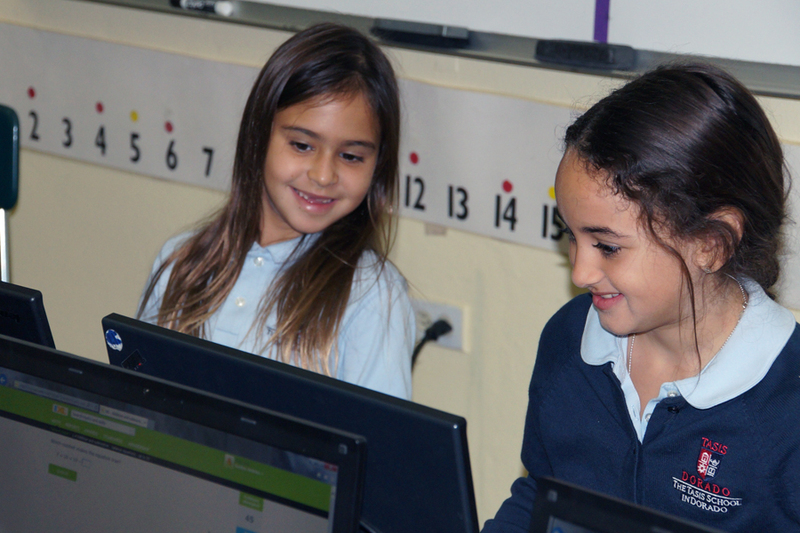 Children in Grades 1 and 2 are expected to have a working command of the English language upon admission in order to ensure that they can benefit from the program. Students spend their school day immersed in English as the language of instruction. Those children who may need extra support in English will be referred to specialized tutors who may be allowed to meet with the child during the school day if scheduling allows. Parents will be responsible for these tutorial fees. All students also participate in the Spanish program. Students whose first language is not Spanish are grouped for introductory Spanish classes according to grade level and level of Spanish language skills. The goal is for each student to be mainstreamed into the regular Spanish language arts program following the introductory program. The reading program is literature-based and uses National Council of Teachers of English standards, Core Knowledge materials and quality children's literature. Both commercial and teacher-made materials are used to support the programs in spelling, handwriting and phonics. Instruction includes whole class, small group and individual lessons. Oral communication skills are taught in class and are practiced in daily sharing times and assembly presentations. We also place great emphasis on process writing. The children write every day share their drafts and final pieces with peers and teachers. Mathematics instruction uses The National Council of Teachers of Mathematics Standards and Core Knowledge skills as guidelines with professionally developed materials as supportive components. Concept development moves from the pre-cognitive through the concrete operational stages during the primary years. Number concepts develop from the use of manipulative materials. Creative reinforcement of the major operational facts is emphasized. Online programs are used to motivate and assess the students. Science instruction is hands on. We use professionally developed programs that include science equipment for demonstrations and experimentation. Experimentation with the scientific method is the goal. Health topics in the early childhood grades are covered in units about parts of the body, nutrition, and the need for cleanliness. Personal health practices are reinforced daily in the classroom. Social Studies is coordinated with the home, the community and other disciplines, especially science, as much as possible. Specialized skills such as the use of maps and globes, the use of reference materials, understanding graphic representation, the development of communication skills, and values education are integral to the social studies program.